A service of the Cave Hill Heritage Foundation offering a series of programs designed to serve families that have recently experienced a loss. Please visit the Cave Hill Heritage Foundation website for more details on upcoming tours and lectures, or call 502.451.5630. Download Your FREE Guide to Cemetery Symbols! 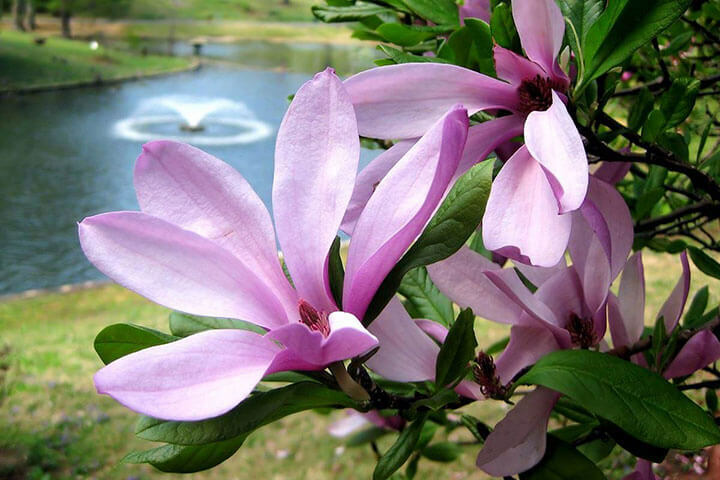 Download Your Cave Hill Cemetery Map! Do you enjoy history? Would you like to help us with special events? How about basic office help? How about genealogy research? Photography? If you have talent, we have a spot for you. Call Michael Higgs, Foundation Manager, Cave Hill Heritage Foundation, at 502.813.7761 for more information. Cave Hill Cemetery is pleased to announce that we have a FREE app available for download in the iPhone and Android App Stores. 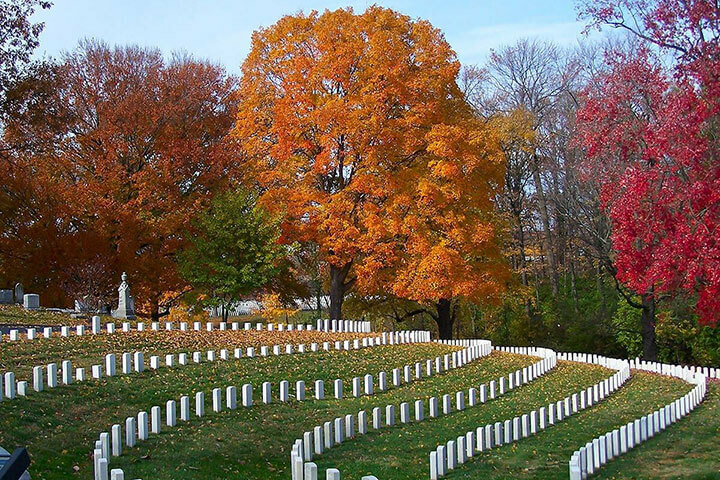 Simply search for "Cave Hill Cemetery" and download the app to search for grave sites, view memorial pages, or take virtual tours of the cemetery. Did you know that you can help the Cave Hill Heritage Foundation simply by swiping your Kroger Plus Card? Simply visit www.krogercommunityrewards.com to sign-in/register your Kroger Card today. Click "Enroll Now" and enter our Kroger NPO #43424. Click on Cave Hill Heritage Foundation. Click "Confirm" to complete the process! If you have questions about this program, please do not hesitate to call our Foundation office at 502-813-7761. Cave Hill Cemetery is a vital part of Louisville history. 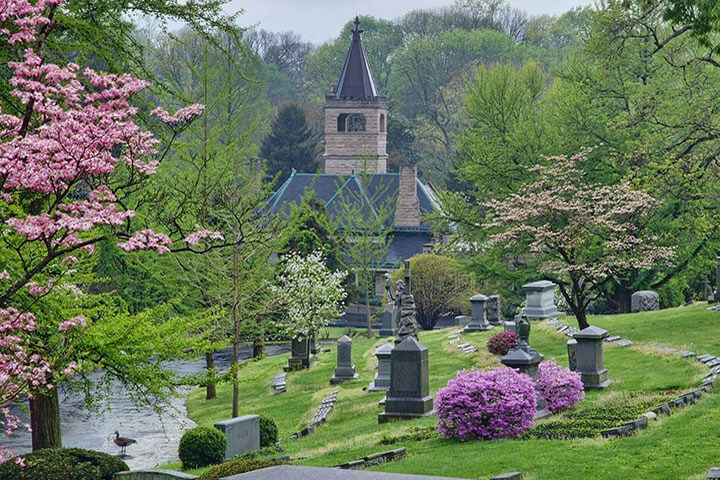 We invite you to view the following video links to learn more about the heritage of Louisville's most beautiful cemetery. Both videos were created by the Cave Hill Heritage Foundation and used during our annual Cocktails on the Lawn gatherings. 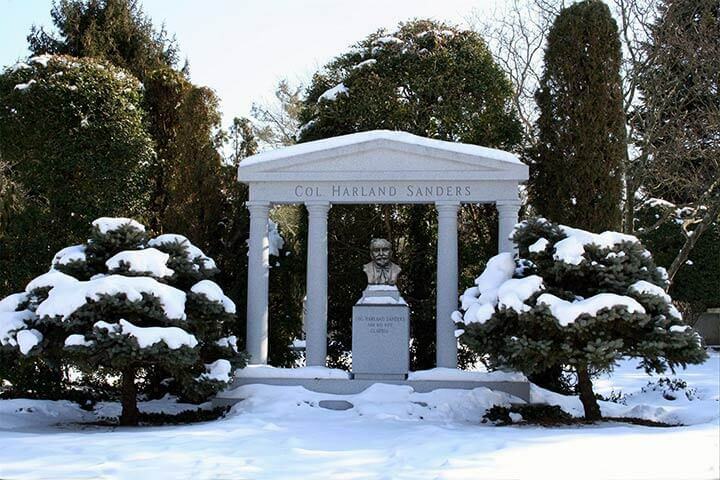 What does Cave Hill Cemetery mean to you? 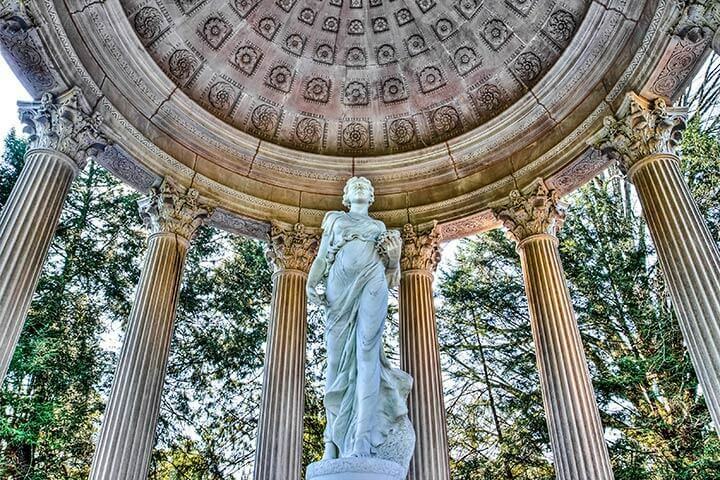 The Monumental Heritage of Cave Hill Cemetery. The 2018 Views of Cave Hill Cemetery Photography Contest offically begins on January 1st. But, start collecting your favorite scenes of Cave Hill Cemetery for our FREE contest that will end on September 21, 2018. New this year- Only digital submissions will be accepted for this year's contest! You can find the Rules and Regulations and the official contest Entry Form by clicking on the links provided. If you have any questions, please do not hesitate to call the Cave Hill Heritage Foundation at 502-813-7761. Please check the events calendar for our list of tours this year. To RSVP, simply call 502-451-5630. Tour dates and times are subject to change. Cocktails on the Lawn will be held on Tuesday, October 2, 2018! 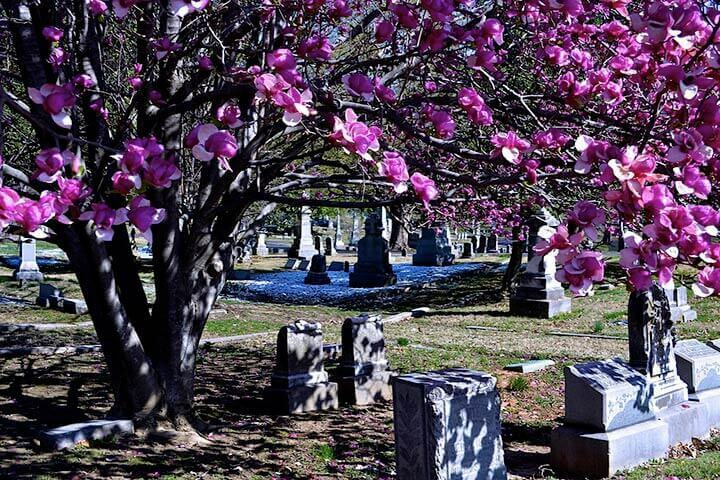 Chartered by the General Assembly of Kentucky on February 5, 1848 for the purpose of operating a rural cemetery. Cave Hill was dedicated in July of that year and the transition of Cave Hill Farm into a beautiful and historic cemetery began. Like any pioneer, when William Johnston decided to build a brick house in the countryside of the fledging town of Louisville, he first searched for a good spring. He found one that helped feed Beargrass Creek, emanating from a large cave that kept it well protected.